Hidden behind the personal self is the real Self, that which Paul called “The Christ,” or our spiritual identity. To awaken mystical consciousness is to come to that point where we can spiritually apprehend this truth about ourselves and about each other and live by it. 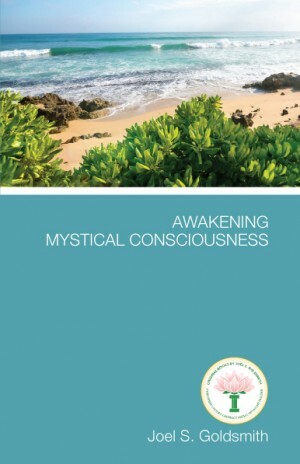 In Awakening Mystical Consciousness, Goldsmith explains the spiritual principles and practices that will help us to awaken. He instructs the reader in how to use contemplation, meditation, and inner communion to attain the realization of the true Self. With care and in detail, he addresses the nature of God as omnipresence, omnipotence, and omniscience; the nature of spiritual power; our real identity; the nature of concepts; and the barriers that obstruct the way to realization. But Goldsmith clearly emphasizes that these statements of truth are not truth. They only help us get into the center of Being, where we can be receptive to the inner voice.